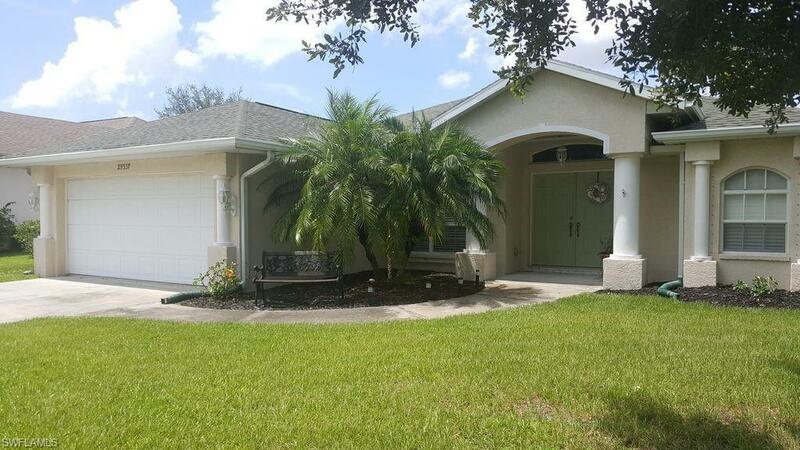 Beautiful salt water pool home in desirable Deep Creek, this home is situated on a large corner lot near the cul de sac very quiet street. Double door entry opens to the living area which has new porcelain tile in the entry, living, and dining. Split floor plan is great for those with family or overnight guests. Master suite bathroom has separate shower, garden tub, dual vanities, private toilet room w/ pocket door. The Master bedroom also has walk in closet, sliders open to the pool/spa area from the master suite, living room and breakfast nook for convenient access, whether for swimming or enjoying your morning coffee. New variable speed Hayward pool/spa pump wireless controls from app. The pool, spa, heater and LED lights can be operated from your smartphone app anywhere. Pool has auto cleaning pop- ups built in the pool floor which makes vacuuming virtually a thing of the past. 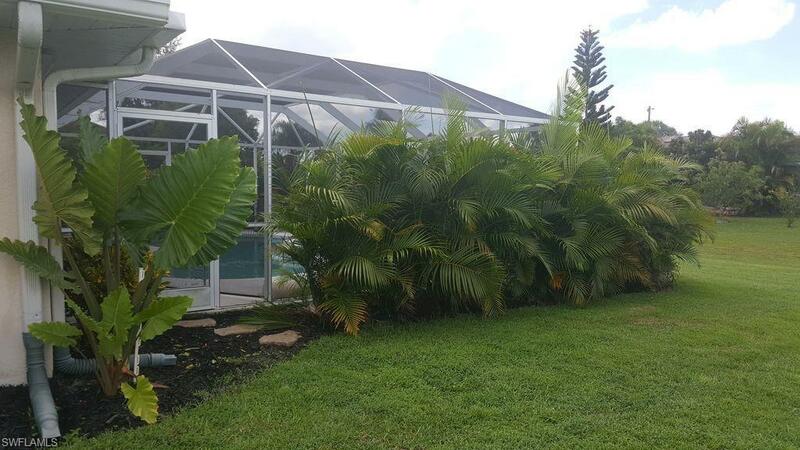 The property has beautiful landscaping for privacy for the lanai and pool area fruit trees, palm trees, areca palms. The new landscaping was designed for ease of care and privacy, accordion shutters on lanai. 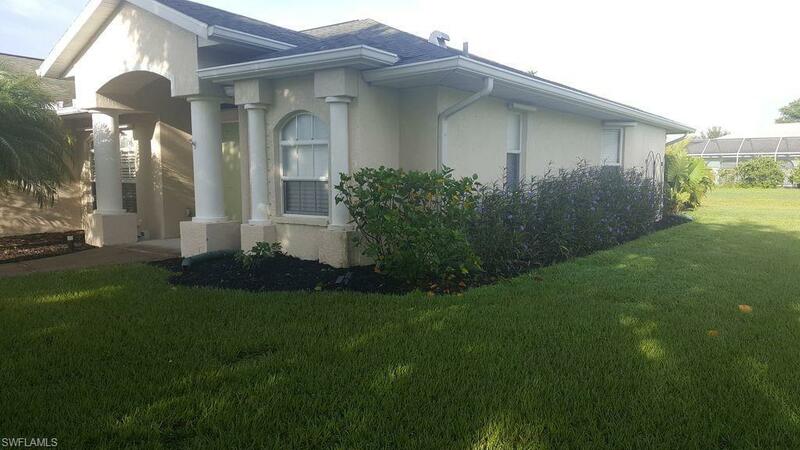 Nearby shopping, golf, dining, I-75, waterfront parks, boat ramps, Airport, gulf beaches. 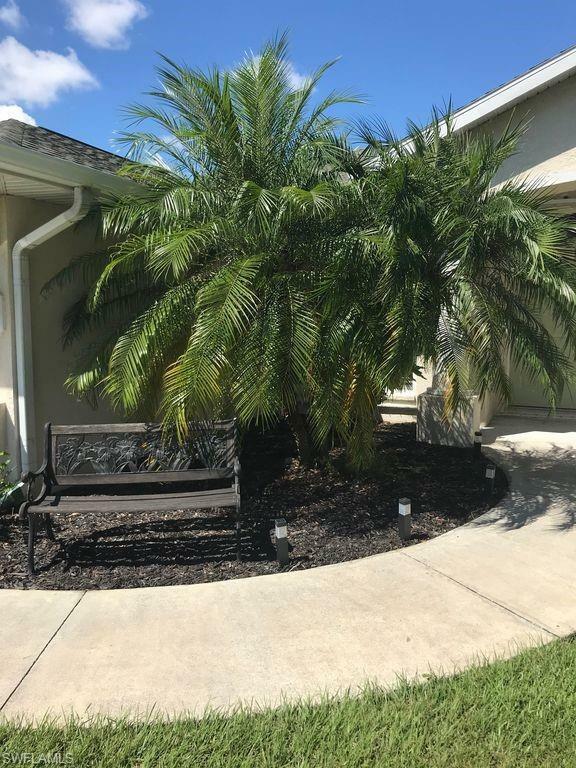 Listing courtesy of Joanne Gallant of Real Edge Real Estate.